How Thrillist, PSFK, and start-up iFlow are capitalizing on the accelerating need for content curation. 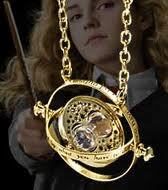 Barring the invention of a “time turner” like the one Hermione Granger sported in 3rd Harry Potter novel, most of us will never have enough time to consume the information we might otherwise want to absorb. There’s simply too much info and too few waking hours. Enter the notion of curation, a relatively new term that is not unlike the editor of old, a trusted person or organization that filters information and aggregates it in an organized fashion for others to enjoy. According to Steve Rosenbaum, author of Curation Nation, “curation is the new way of organizing the web going forward.” And no doubt he’s right. Curious about why new curators like Thrillist and PSFK were thriving while the traditional publishing world floundered, I spent some time with their respective founders, Ben Lerer and Piers Fawkes. These conversations plus one with Eric Alterman, the founder of a new curation engine called iFlow, revealed four insights that could help you too capitalize on the curation phenomenon. In the new world of curation, “information becomes currency and the ability to repackage something of interest as compelling, consumable and also [as a] sharable social object is an art,” wrote Brian Solis. This perhaps is the fundamental difference between the old world newspaper and the new world of curators. New world curators can connect and engage with other curators, helping to disseminate information quickly and at little to no cost. Ben Lerer of Thrillist recalled taking this approach out of necessity since, “one of the stipulations with the money we raised was that we couldn’t spend any of it on marketing.” “So we focused all our energy on building something that people actually liked and would want to pass along to their friends,” explained Lerer. By “putting content first and making sure its written for the guy reading it,” Lerer and his team developed a loyal audience that in turn shared the content and or acted upon it demonstrating they too were in the know. Seeing an opportunity in the limitations of algorithmic curation combined with the overwhelming flow of content generated via social media, Alterman is just about to launch a new curation platform called iFlow. Alterman believes that iFlow will address the problem of information overload, enabling “efficient curation into highly contextual aggregate streams [that] include all content types.” Given Alterman’s track record of turning ideas into successful companies like KickApps, his hope “to bring the art of content creation to the widest possible audience,” is anything but a pipe dream. While admittedly I’m no longer in Thrillist’s demographic, I became a fan in ’08 when one of my clients wanted to connect with their readers. Seeing Lerer’s presentation at a recent PSFK event, I was simply blown away by their success in three short years. It was the quality of the presenters at this conference that got me thinking about curation and led to my conversations with Lerer, Fawkes and Alterman (see their respective interviews onTheDrewBlog.com).